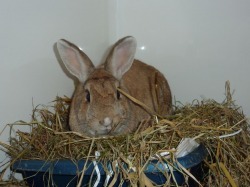 Sahara Is a tan coloured domestic cross rabbit. We do not know her age becuase she was a stray. 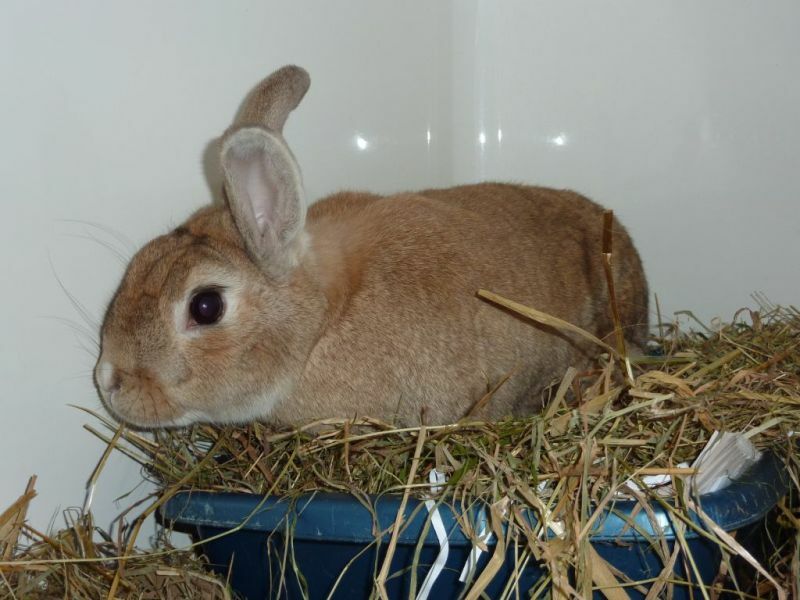 We think she is a female, but when she went to the vets for neutering she had no internal reproductive organs and the lack of existing scar tissue suggested that she adnlt been neuterd by a previous owner. So, she is a bit of mystery bunny, but one that deserves a living home with another bunny. She is a little timid of humans, but tolerates being picked up and cuddled.